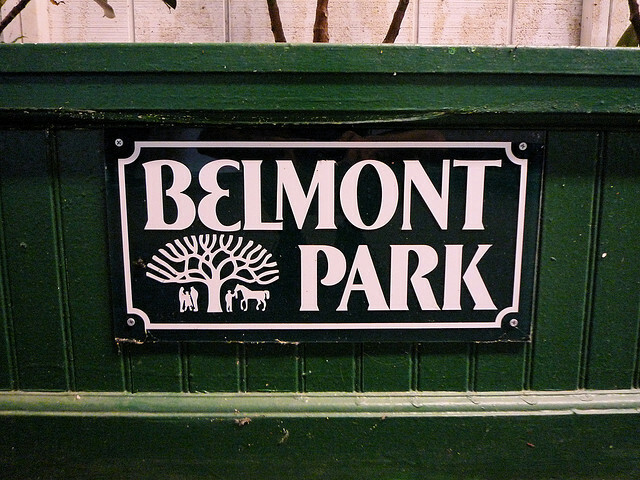 Our tour of 2YO racing moves to a shorter distance this week with a Grade 3, 6-furlong sprint from Belmont Park. You never know when/how/if these speedy 2YO’s will and find their way onto the Derby Trail, so there is an advantage in watching them early. BYou’ll get the full context of their win (or loss) — something that is really hard to do from just videos, charts, or past performances. Red Peril: A fast maiden winner at Gulfstream Park in August. Florida’s summer meet still feels like Calder. He belongs (to round out the bottom of the field) but would be a significant surprise. Barry Lee: Well-traveled, he’s coming out of the Arlington-Washington Futurity, which was a good race in 1970’s. He was overmatched in the Saratoga Special, but this race isn’t as good as that one. Lots of trainer angles — De Pax wins and is great adding blinkers. May very well be the fittest of the bunch. Mojovation: Our requisite Todd Pletcher nominee. You always see his 2YO in these level sprints. A strong Saratoga debut win. But failed at 7/2 in the Hopeful — and failed badly at that. Maybe it was the moisture, maybe not. Feels like a basic contender — nothing more, nothing less. Smooth B: The most experienced runner with 5 previous starts. He has an allowance win at 1-turn mile at Laurel and a decent showing in competitive a Monmouth stake. Hasn’t raced off the mid-Atlantic circuit so may find himself lacking the final furlong. Engage: A $550 purchase as a 2YO in training, he has run faster than any other horse in the field. Trained by Chad Brown and ridden by Jose Ortiz. The main question is how he responds to the higher level of competition.